I am glad that I've been awarded for another year as SQL Server MVP. this is my fourth year as MVP and I'm proud to be part of this community and share technologies that I'm passionate about to people. I believe I've got this award because of my contribution on online communities, writing books and speakings. Thanks to all of you who supported me in my way. and I wish you again a very happy new year. I wish a happy and Prosperous New Year for all of you my friends, family and visitors of my blog. I wish you all the best in 2013. Today I re-awarded for the 3rd times for Microsoft MVP Award in Microsoft SQL Server. I really appreciate support of all of you my friends, I cannot do that without support of all of you. Continue reading "I Re-Awarded MVP for 3rd year"
Few minutes ago I received the MVP Award email from Microsoft. 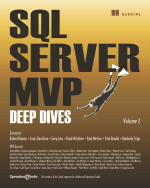 this is my second year as SQL Server MVP. I believe that this award achieved because of my dedication in Microsoft BI Stack and SSIS. I want to use this space to wish a good and happy new year 2012 to all of you. Today at the first day of 2011, I received a great gift from Microsoft. Microsoft Most Valuable Professional Award ( MVP ). I believe that this award is related to my contribution of technical communities such as MSDN and Exprets-Exchange , and also my posts in this blog in SSIS field. And to all those persons who supported me. I wish you all a Happy New Year with everlasting love and happiness.